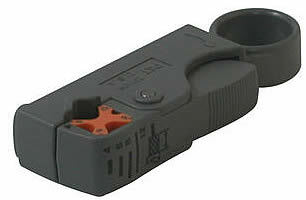 Primarily for Fype connectors that require the cable to be stripped to two different lengths. Having the right tool can make all the difference in the world! 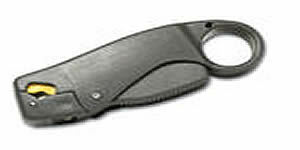 Make us your source for quality tools including cutters, strippers, crimpers, terminators, and more. You have the option of buying the tools separately or building your own tool kit with the tools you want! Either way, we have a tool solution for almost any job! Use with our miniature coaxial cable and compression connectors (items #40986-40997). Primarily but not exclusively for BNC connectors that require the cable to be stripped to three different lengths. Having the right tool can make all the difference in the world! 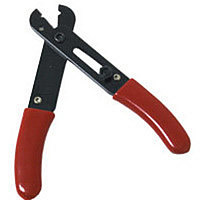 Make us your source for quality tools including cutters, strippers, crimpers, terminators, and more. You have the option of buying the tools separately or building your own tool kit with the tools you want! Either way, we have a tool solution for almost any job! 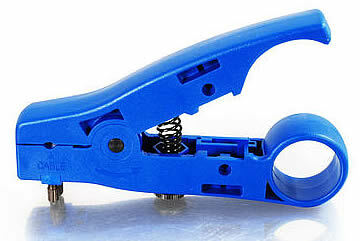 Professional stripper tool for wire from 12-24AWG. For technicians of A/V and network systems. Technicians and installers need to have reliable tools, and we offer tools that make your job easier. 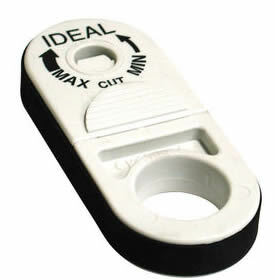 These 5in wire strippers can accommodate wire from 12-24AWG. PVC hand grip for comfort. Spring return to open position.